My clients have always looked for ways to entertain their guests and we are seeing more and more custom bars and entertainment areas requested. We like to work with our clients to design spaces that blend in well with their style while still creating a statement area. 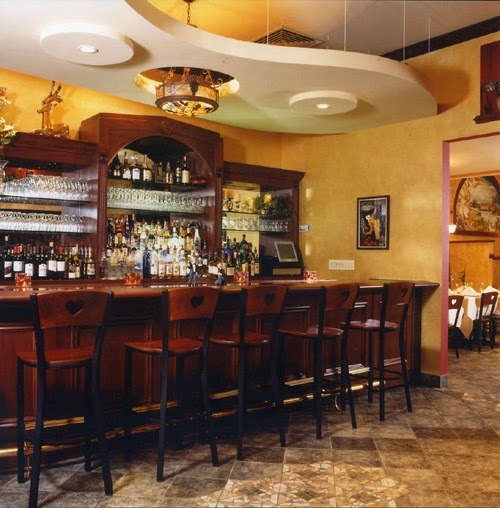 What is wonderful about custom bars is that they are different every time and the client always wants the "wow" factor. 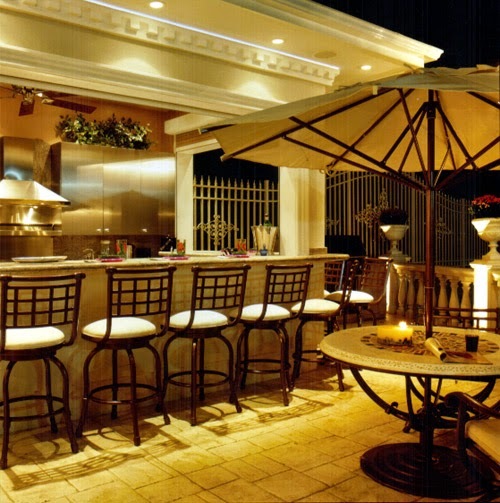 Whether it is indoor or outdoor, a custom bar is a great use of space and creates a relaxed energy that makes everyone happy. Outdoor patio bar offers extra seating. Layout designed with homeowner in mind. A lot of space for prep and service. Protective roll down shutters protect the space in the winter. Restaurant bar that makes guests feel right at home. 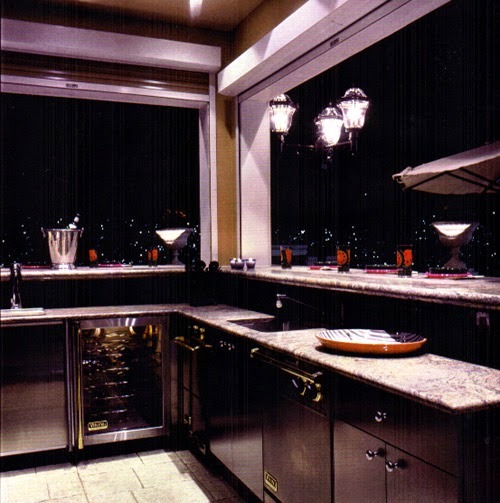 A mix of dark wood, metal and glass creates an inviting atmosphere for guests. 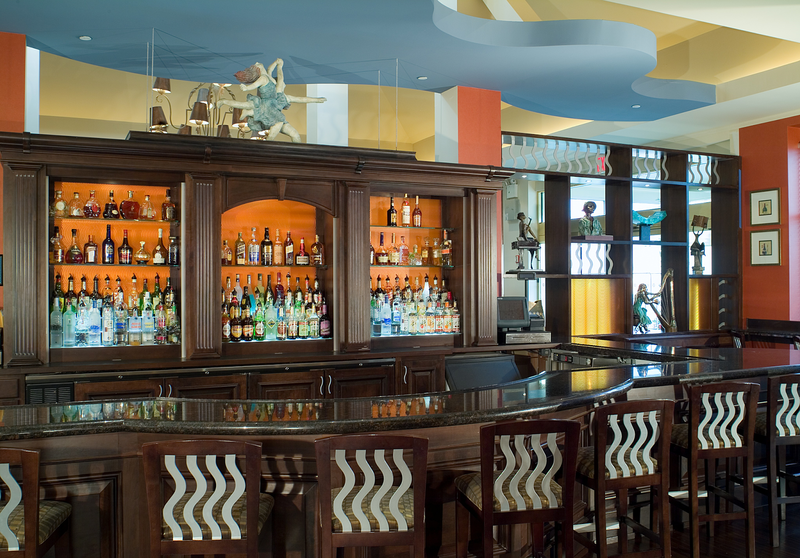 The curved edge of the bar gives staff more space and allows guests to converse more easily. This custom bar fits seamlessly into the entertainment wall design. 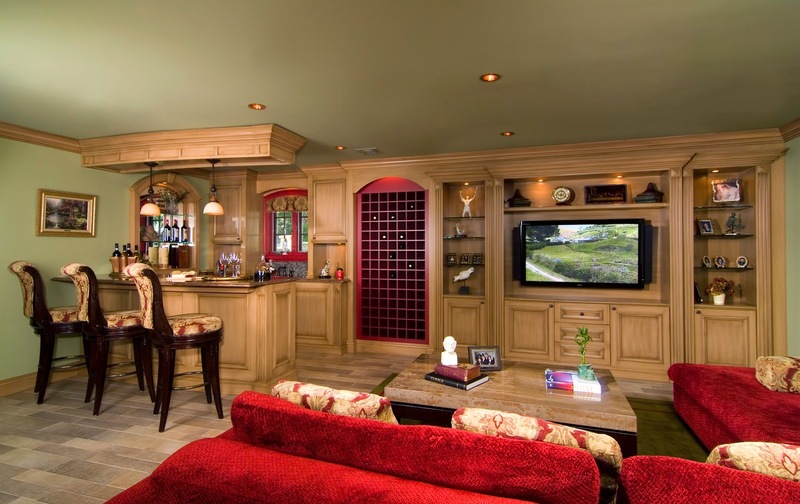 A pop of red in the amazing wine rack breaks up the wall and helps bring definition to the spaces. A corner bar is great, but adding a curve here helps soften the space and give it new dimension. A bar feels incomplete without a gorgeous pool table. Gone are the days of traditional pool table lighting - go for a statement piece. No trouble with this curve. We just love this stone. A bar is a great place to bring in some interesting materials. Glass shelves and mirrored backs also help brighten the space.